A plant-based diet is, quite simply, a diet that is based around plants. More specifically, it focuses on minimizing the consumption of meat and dairy products in favor of vegetables and fruit. For some, a “plant-based diet” is the same thing as a vegan diet; both aim to reduce and eventually eliminate all animal products from their meals. For others, a plant-based diet can include things like meat or eggs—but in limited amounts. The exact shape of your diet plan will likely differ from another’s, yet retain the same emphasis on fruits and vegetables. It is also important to consider what a plant-based diet is not. Kale and salad are usually associated with health food, so it’s natural to assume that a plant-based diet will largely be based around leafy greens, right? Wrong! 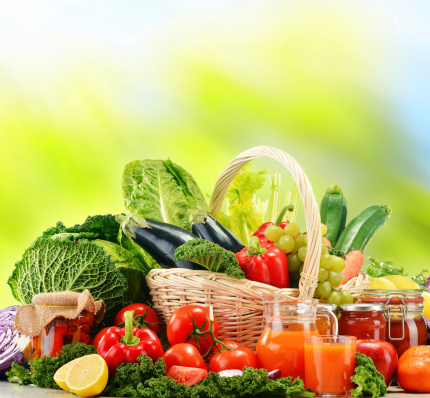 It is almost impossible to live on a diet focused primarily around leafy vegetables. In a plant-based diet, leafy vegetables are included, but in a complementary form. We’ll be covering specific food recommendations shortly. The most apparent benefit of a plant-based diet is good health. Whether you want to lose weight, improve your heart health, age better, improve blood pressure, or manage diabetes, a plant-based diet can help. Without any processed flours, sugars, and fried or fast foods, your diet will be free from many of the unhealthy traps our society is riddled with. Furthermore, the fruit and vegetable dishes you’ll be eating are rich in the nutrients your body needs so that you can enjoy a more balanced intake and healthier lifestyle. This is not to say that the only benefits of a plant-based diet are health-related. Believe it or not, there is also an environmental angle. The animals raised for human consumption have a remarkable resource cost. A single hamburger, for instance, can take anywhere between 4,000 to 18,000 gallons of water to produce. Then you have to factor in all of the emissions from processing, shipping, and storage to boot. There is also the fact that livestock are, well… extremely gassy. Eighteen percent of the world’s greenhouse gas emissions come from livestock, which is more than that caused by every form of transportation currently in existence (13.5%). A plant-based diet lets you eat more locally sourced foods that are fresher—and it will also vastly reduce your carbon footprint. Beans and other proteins: This includes regular beans such as lentils, black beans, kidney beans, garbanzo, etc. It also means soybeans such as edamame, tofu, and seitan. Soy-derived products (e.g. soymilk) also fall under this category. Soymilk and almond milk are important parts of a plant-based diet because they are often fortified with vitamin B12. Since B12 normally comes from animal products, these fortified milks are going to be your main source of the stuff. Nuts and seeds: Focus on raw almonds, walnuts, cashews, ground flax, chia seeds, and sunflower seeds. Quinoa counts here as well since it may be treated as a grain—but it’s really a seed. Also included are derived products, such as almond milk, almond butter, peanut butter, etc. Good fats: Fruits and vegetables naturally have low to no saturated fats, which makes finding the good fats easier. Look to avocados, olive oil, canola oil, or any of the nuts and seeds mentioned above for healthy sources of good fats. Greens: Although they do not form the main focus of a plant-based diet, greens are still an important source of calcium, iron, and other vitamins. Generally speaking, darker green vegetables contain more iron and vitamin C. Dark, leafy greens, such as kale and broccoli, are best to consume, but other greens are perfectly viable as well. Fruits: Apples, citrus, peaches, mangoes, bananas, pears, and berries are delicious and perfect for the plant-based diet. Keep your fridge stocked with a nice, colorful selection of fruit to ensure variety. Starches: It may surprise you to know that a plant-based diet involves a large amount of what is normally considered “comfort food.” These starchy foods, such as potatoes, brown rice, pasta, and corn, will form the main component of many meals. The Rest: Cinnamon, turmeric, garlic, onion, mint, green tea, wine, and many others are viable inclusions in your diet and can be used to add flavor and style to many recipes. Of course, with a few exceptions, you aren’t likely to eat any of these on their own. A good plant-based diet is one where you use a variety of recipes to create fun, flavorful foods to enjoy. Here are some plant-based recipe suggestions that will take you through breakfast, lunch, and dinner. Preheat oven to 425 degrees Fahrenheit. Cover two sheet pans with parchment paper. Spread half of the grated vegetables on a clean kitchen towel, then roll and wring the towel to draw out the excess moisture. Place in a mixing bowl and repeat with the rest of the vegetables. In another bowl, mix the baking powder, pepper, and oat flour. Add to the vegetable bowl and mix well, using your hands to evenly distribute the flour and baking powder. Scoop about 1/4 cup of potato mixture, and hand-shape it into a semi-tight ball. Flatten with your palms, and place the pancake onto the prepared pan. Repeat with the remaining mix, spacing the pancakes about two inches apart. Bake for 12 minutes. Flip and bake for another 12 minutes, or to your desired level of crispness. Serve at once. Top with the condiment of your choice (try apple sauce!). A quick, easy meal that produces plenty of leftovers—so you can make lunch for today, tomorrow, and maybe even the day after! Place 1/3 cup of water or vegetable stock in a pot. Mix in the bell peppers and onions, cook; stir for about five minutes or until onions soften. Mix in the chili powder. Add the seasonings, tomatoes, and lentils. Stir and bring to a boil; lower heat, cover, and cook for one hour, stirring occasionally. Serve on whole-grain buns, or fresh baked bread, with the trimmings of your choice. This meal can be pulled together quickly if you take the proper steps beforehand. By sautéing your vegetables first you can avoid a long stewing time and be able to pull together dinner in a single pot. Place the onion, carrot, and mushrooms in a medium pot and sauté for seven to eight minutes. Add water (one to two tablespoons at a time) to keep the vegetables from sticking to the pan. Add the vegetable stock, ginger, bok choy, garlic, lime zest and juice, soy sauce and serrano chili pepper. Over high heat, bring to a boil. Lower heat to medium, cook for 10 minutes. Divide noodles into four separate portions (place in bowls). Pour the broth over the ingredients and garnish with the mung bean sprouts and cilantro. You have the incentive, the food list, and some recipes to start you off. However, switching over to a plant-based diet is best done gradually—to get yourself used to the new diet and to make sure it’s something that you can stick to. Begin by slowly removing meat from your meal. For example, start by picking one day a week where you won’t eat meat. Expand slowly to other days of the week until all seven are covered. Another option is to go by type of meat: cutting out red meat initially, then poultry, and lastly seafood. There is no set pace you need to progress at. Find the rate of change you’re most comfortable with and stick to it. Next on the chopping block are dairy products. This is one of the harder parts to eliminate from your diet because so many good things are made from dairy. Ice cream, butter and margarine, that cold glass of milk, and the ever-prevalent cheese are all dairy and all will have to be given up…to an extent. Soymilk and almond milk are surprisingly versatile and it is possible to find plant-derived options for many dairy products. To make this stage easier, it helps to start trying out new dishes so you can focus on the stuff you can start eating instead of what you’re giving up. Congratulations, you have now moved into a plant-based diet! Keep in mind that although this guide mentions cutting out and removing meat and dairy—that isn’t strictly a requirement. Some people might actually find a plant-based diet easier to stick to if they allow themselves a little bit of meat and dairy rather than abstain entirely. The important thing is to ensure your meat and dairy products are a minimal part of your meals. Perhaps one day a week you can have meat in your dinner or eggs as part of Sunday brunch. The important thing is to maintain a strong focus on whole plant-based foods and to maintain the discipline necessary to stick to the diet. Eventually, it will become habitual and effortless. Enjoy! Plant-Based Diet: Cholesterol-Lowering and Now Blood Pressure-Lowering?